Ensure every wound is protected sufficiently with our Adhesive Sterile Dressing Pads. 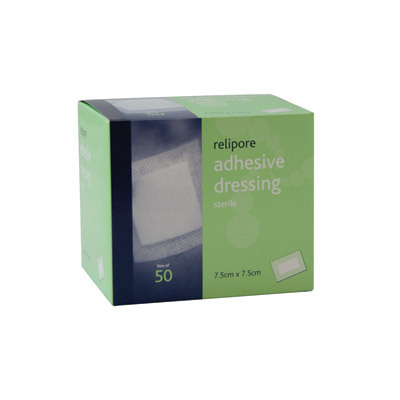 Perfectly sized to fit over small to medium wounds, this advanced dressing includes a contact layer that encourages fluid to pass through straight into the centre. On the other side, a breathable stretch fabric helps the dressing contour to the body while ensuring it stays securely on when needed and pulls off easily when it's ready for disposal. Ideal for use on lacerations, minor burns, grazes or as a post operative dressing, these individually packaged sterile dressing pads are an ideal addition to any First Aid kit. Our sterile dressing pads are also available in 8cm x 10cm sizes.